The seemingly effortless integration of sound, movement, and editing in films of the late 1930s stands in vivid contrast to the awkwardness of the first talkies. Film Rhythm after Sound analyzes this evolution via close examination of important prototypes of early sound filmmaking, as well as contemporary discussions of rhythm, tempo, and pacing. 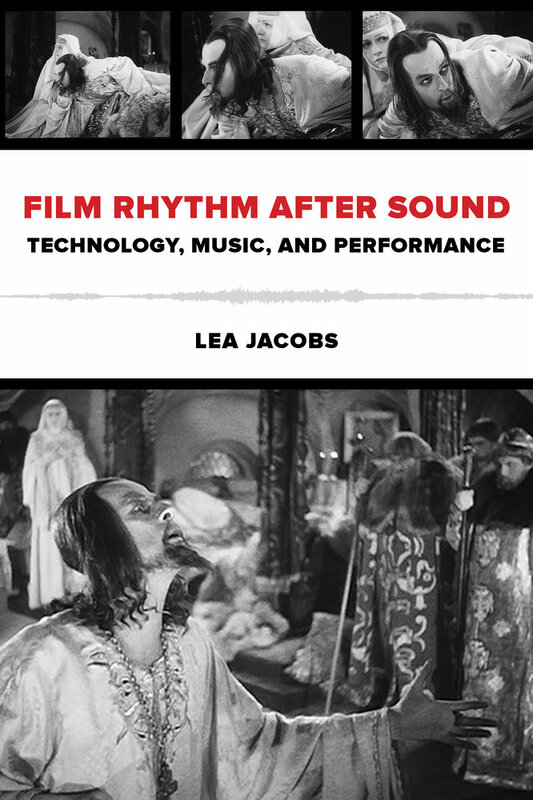 Jacobs looks at the rhythmic dimensions of performance and sound in a diverse set of case studies: the Eisenstein-Prokofiev collaboration Ivan the Terrible, Disney’s Silly Symphonies and early Mickey Mouse cartoons, musicals by Lubitsch and Mamoulian, and the impeccably timed dialogue in Hawks’s films. Jacobs argues that the new range of sound technologies made possible a much tighter synchronization of music, speech, and movement than had been the norm with the live accompaniment of silent films. Filmmakers in the early years of the transition to sound experimented with different technical means of achieving synchronization and employed a variety of formal strategies for creating rhythmically unified scenes and sequences. Music often served as a blueprint for rhythm and pacing, as was the case in mickey mousing, the close integration of music and movement in animation. However, by the mid-1930s, filmmakers had also gained enough control over dialogue recording and editing to utilize dialogue to pace scenes independently of the music track. Jacobs’s highly original study of early sound-film practices provides significant new contributions to the fields of film music and sound studies. Lea Jacobs is Professor of Film at the University of Wisconsin–Madison and author of The Decline of Sentiment: American Film in the 1920s. Film clips related to Film Rhythm after Sound can be viewed at the University of Wisconsin-Madison's MediaSpace.